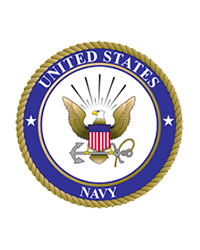 Mr. Larry Dean Love, age 77, of Guston, KY, passed away on Tuesday, April 9, 2019, at Hardin Memorial Hospital in Elizabethtown, KY. Mr. Love was a veteran of the United States Navy; and was a truck driver for 43 years. Larry was preceded in death by his parents, Leonard and Lorita Flud Love; and his loving wife, Helen Love. He is survived by his son, Bobby (Maria) Love, Irvington, KY; two grandchildren, Heather and Chasity; four great grandchildren; and his sister-in-law, Norma Moore, Rough River, KY.
Graveside services will be held at 2:00 PM on Monday, April 15, 2019, at Cap Anderson Cemetery.